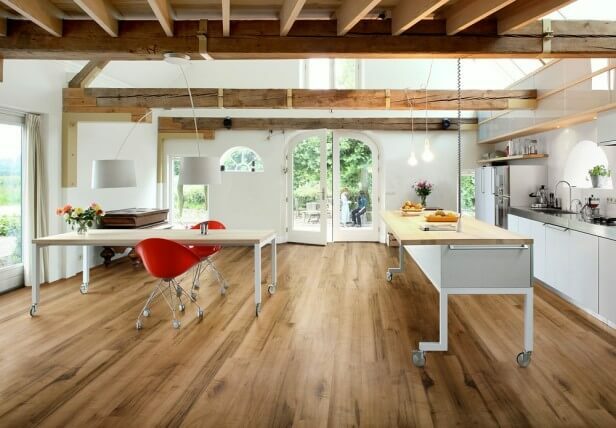 Vinyl flooring has emerged as a modern alternative to hardwood and tile floor solutions. If you’re considering adding vinyl flooring to your home, here’s what you need to know. 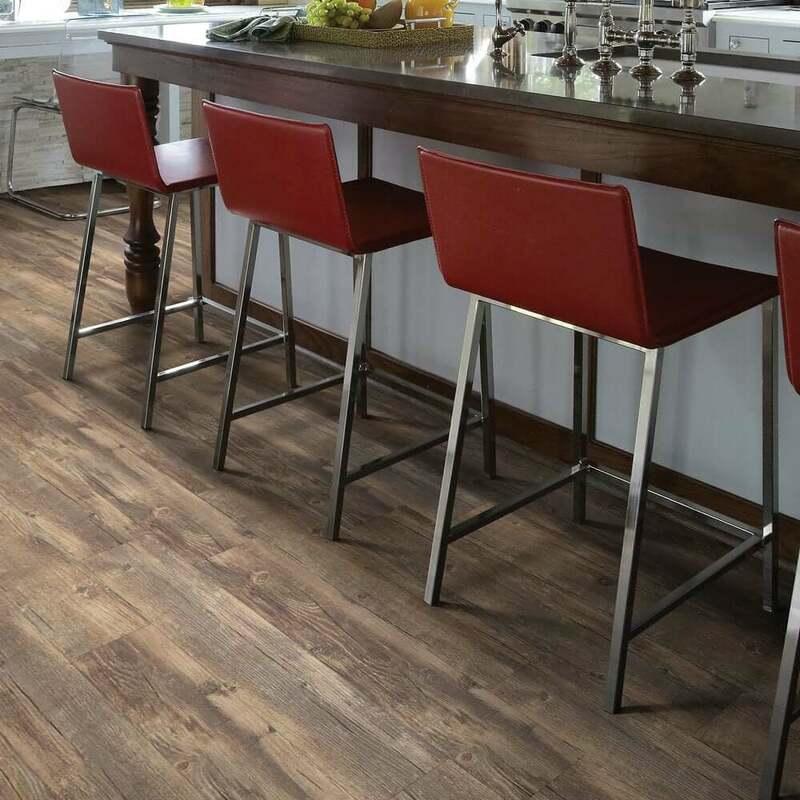 Vinyl flooring comes in three basic formats: sheet, tile, and plank. Vinyl sheets are sold in prepared rolls or 6- to 12-foot wide panels. Since they can be installed seamlessly, vinyl flooring sheets are ideal for moist areas such as bathrooms. Vinyl sheeting is the original vinyl flooring. It was very popular for years, but some say it looks a little dated in comparison to more advanced vinyl tiles and planks. 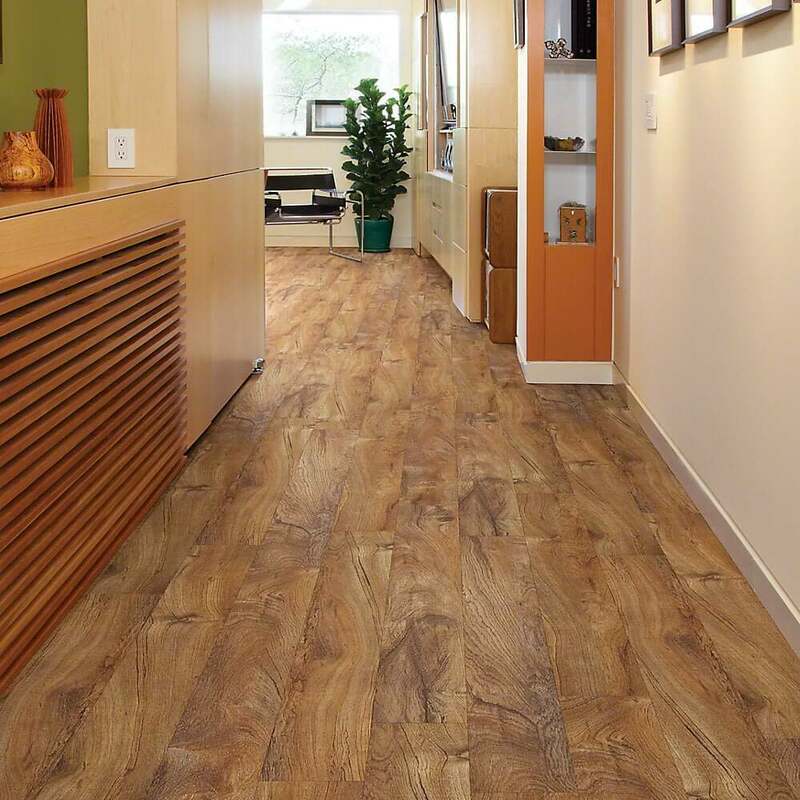 These modern vinyl flooring formats use new technology to mimic the materials they replicate more closely. Vinyl tiles are smaller, uniform pieces of vinyl, usually 12- or 18-inch squares, which are laid down to give your floor a methodical, tiled appearance. Many vinyl tiles are self-adhesive, so homeowners can easily install their own. Precision-cut vinyl tiles are easily replaced if they ever show signs of wear. Vinyl planks look a lot like hardwood planks, but they’re much cheaper, simpler to install, and easier to care for. Vinyl planks usually measure 4 to 6 inches by 3 to 4 feet. The vinyl flooring’s top layer is called the wear layer. Vinyl no-wax is the thinnest wear layer. It suits light-traffic areas that rarely see dirt. 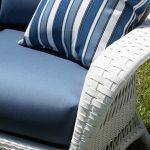 Urethane provides greater protection, with a heavier coating that resists shoe scuffs and scratches from sliding chairs. Enhanced urethane is the highest-quality coating, offering the greatest protection in high-traffic areas. Underneath the wear layer, you might find a printed or decorative layer above a vinyl and foam layer. Printed vinyl has colors and patterns printed directly on the vinyl surface, much like a magazine-printing press prints text and images on the page. Some vinyl floors have an inlaid design. This means color granules are embedded directly into the flooring foam and vinyl inner core. This results in a more vibrant finish than a separate printed layer. What’s underneath the vinyl matters, too. Backing boosts vinyl flooring’s moisture and mildew resistance. 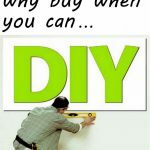 It also determines the type of installation adhesive required. The thicker the backing, the better the vinyl flooring will be. Vinyl flooring is designed to be resilient. It’s virtually impossible to dent and is difficult to scuff, stain, or rip, especially if you choose a product with a thick wear layer. A long warranty gives an indication how well your vinyl flooring should wear. Manufacturers only give a long warranty if they’re confident their flooring solutions will last. Vinyl flooring comes in a range of great looks. 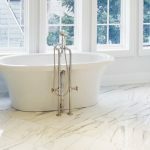 You’ll find vinyl flooring that appears like hardwood, ceramic or stone tiles, marble, and much more. You’ll also find vinyl with a range of different finishes, including low gloss, embossed, smooth, and hand-scraped for a more rustic, lived-in look. Since there are so many colors and patterns to choose from, you can easily find a vinyl flooring that complements your existing paint and décor. No matter what is looks like, your vinyl flooring will look its best years after its purchase, thanks to its durability. Vinyl flooring is so easy to maintain. You don’t need to apply wax or other coatings to keep it looking its best. You can also clean it with regular sweeping and a damp mop every now and again. While vinyl is water-resistant, liquid can seep between your vinyl panels, causing mold underneath and weakening your adhesive. That’s why you should limit your use of wet mops and be sure to tend to any wet spills as quickly as possible with a damp cloth. Some homeowners also like to invest in professional cleaning annually to keep their vinyl flooring looking its best. In rooms where you use a lot of water, like the bathroom, you may need to replace the heavy caulking around the walls and fixtures occasionally. This measure will prevent water seepage. It’s not an everyday maintenance task, but it’s something to consider. Vinyl flooring is ideal for high-traffic areas of the home because it doesn’t show its age. Many people choose to put vinyl flooring in their entryway for this reason. Its water-resistant properties also make it ideal for humid and damp places in your home, such as bathrooms and laundries. 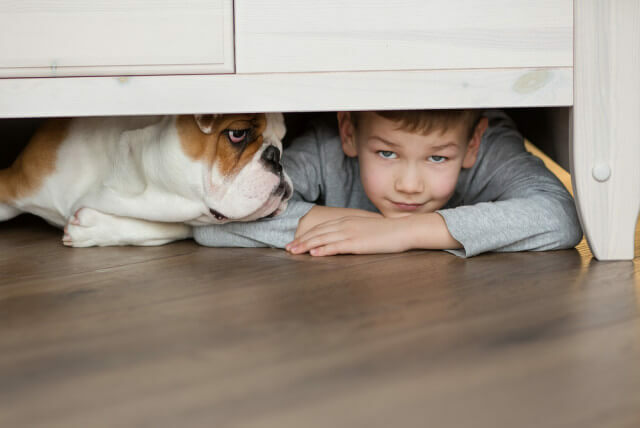 Most vinyl flooring has a slip rating, so you can feel confident that spills won’t become hazards for your family. Many people prefer a warmer flooring solution for the places they spend ample time in, such as living rooms and bedrooms. Vinyl flooring is much softer and warmer than tile, for example, but it doesn’t have the same comfortable coziness of carpet. However, if you like vinyl flooring, there’s no reason you couldn’t use it throughout your home. 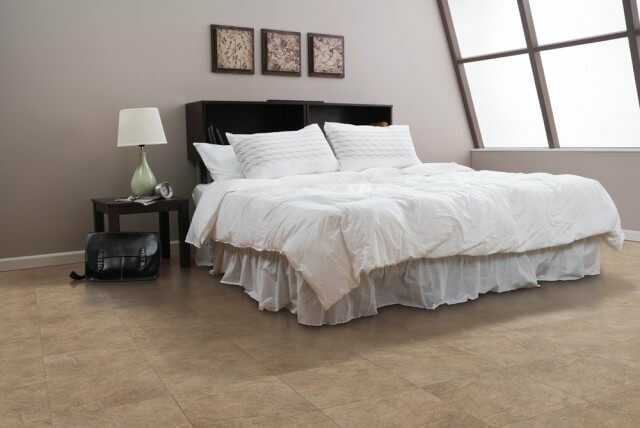 New vinyl flooring can be installed over the top of concrete, old tiles, standard underlay, wood, even noncushioned vinyl flooring, so there’s really no limit to the rooms it suits. Vinyl flooring is a relatively affordable flooring option. 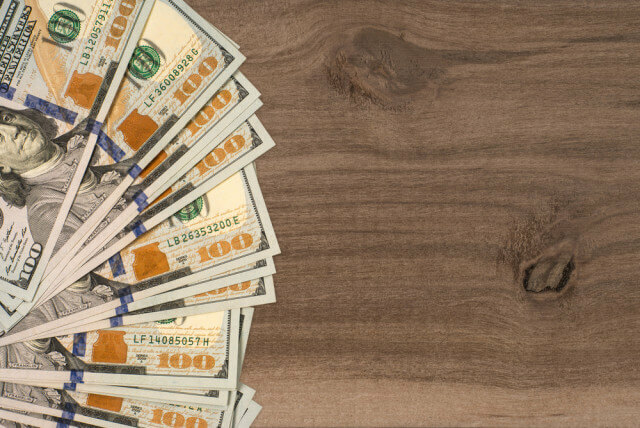 Prices vary depending on the type of vinyl flooring you choose and the thickness of its wear layer, but it typically costs less than the materials they mimic. 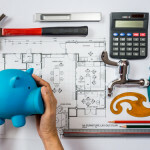 The cost per square foot is just one factor to consider when installing vinyl floors. Some sellers charge for product delivery. 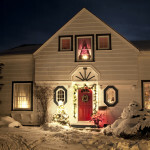 You’ll also probably need to pay for materials, such as adhesives and moisture barriers. You should also consider buying more vinyl flooring than you need. Colors can vary between dye lots. If you buy a surplus, you can easily replace any damaged areas without any color variations. Depending on your subfloor’s condition, there may be preparation costs. 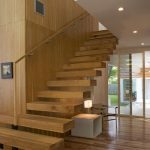 Homeowners can install peel and stick, as well as floating or interlocking vinyl floors, while some other types can benefit from professional installation. 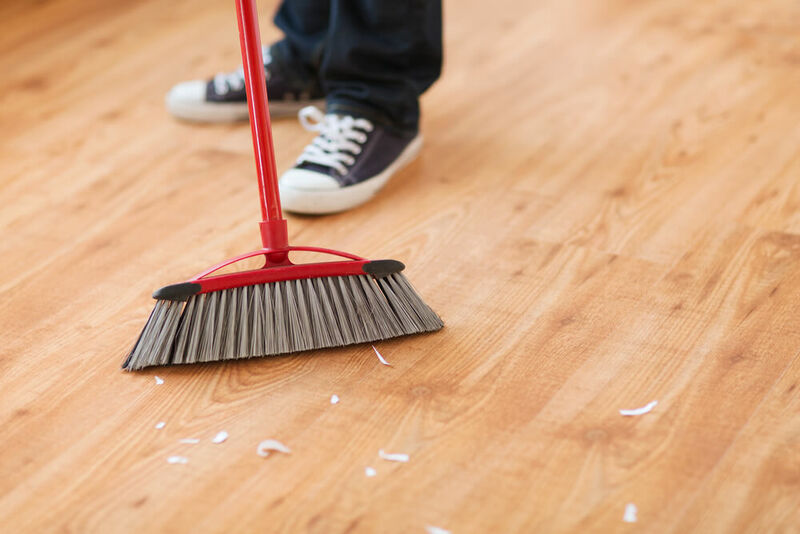 You may also need to pay for the disposal of your old floor covering. With a host of short- and long-term benefits, vinyl flooring is a smart solution for any home.